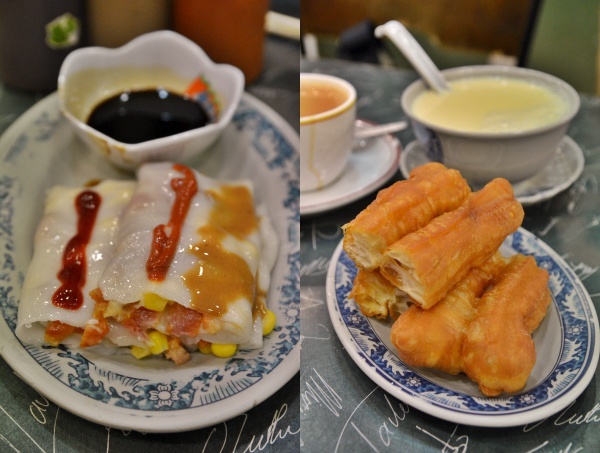 Could this be the epitome of good breakfasts in Hong Kong? 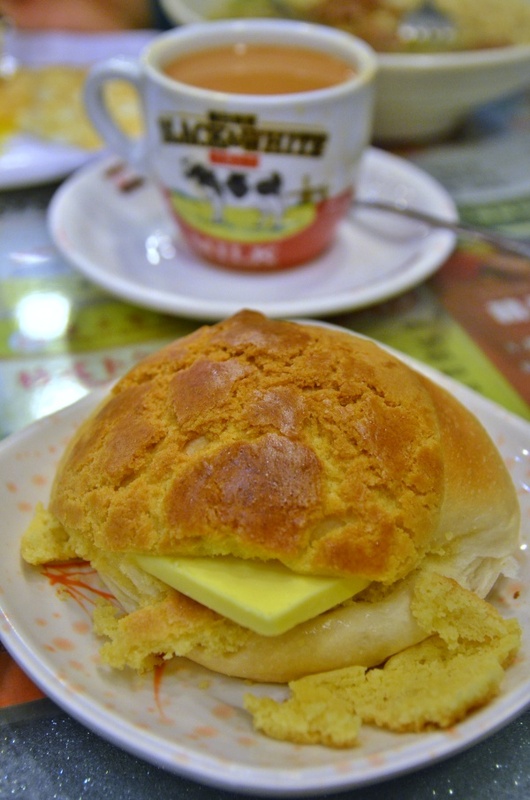 The perennial classic named Polo Bun with a slab of cold butter wedged in-between (also named Bo Lo Yau in Cantonese). Crisp on the outside; moist, fluffy and warm on the inside, this was an instant win the very first moment we sank our teeth into one at Kam Wah back in 2008. 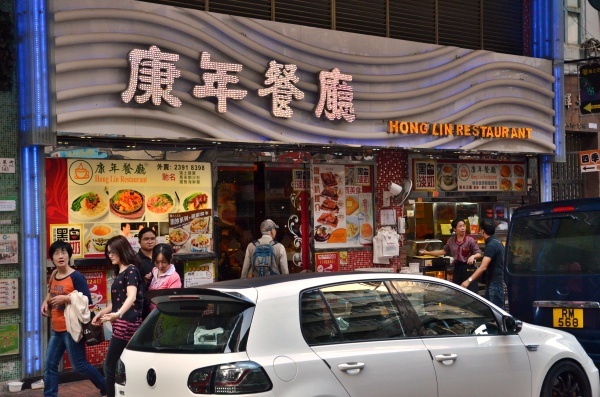 Almost there in completing the 2013 Hong Kong/Macau chapters, today we revisit some of the classic breakfast and snacking spots around Mong Kok; a whirlwind of street eats experience in the heart of Hong Kong. Mong Kok is of course, famed for the many shopping streets; namely Women’s Street, Sneakers Street, Gold Fish Street, etc. But then again, for really good shopping, Sogo Departmental Stores or the few selected outlet stores (Tsim Sha Tsui’s China Hong Kong City and Tung Chung’s Citygate Outlets being fine examples) are your better bets. Nonetheless, Merry Christmas dear readers and pardon for the lapse in reviews. The holiday season has definitely eaten into Motormouth’s schedule (eating, shopping, traveling, working), but more Ipoh food posts to come this weekend. 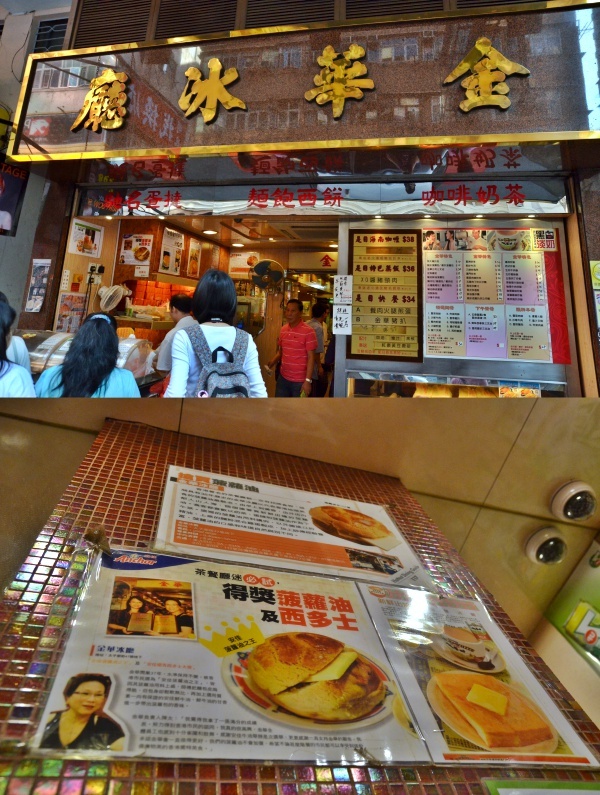 Hong Lin Restaurant @ Mong Kok – What appeared to be another glitzy, all day restaurant like Tsui Wah, Hong Lin actually serves delicious breakfasts including freshly-baked breads and pastries. 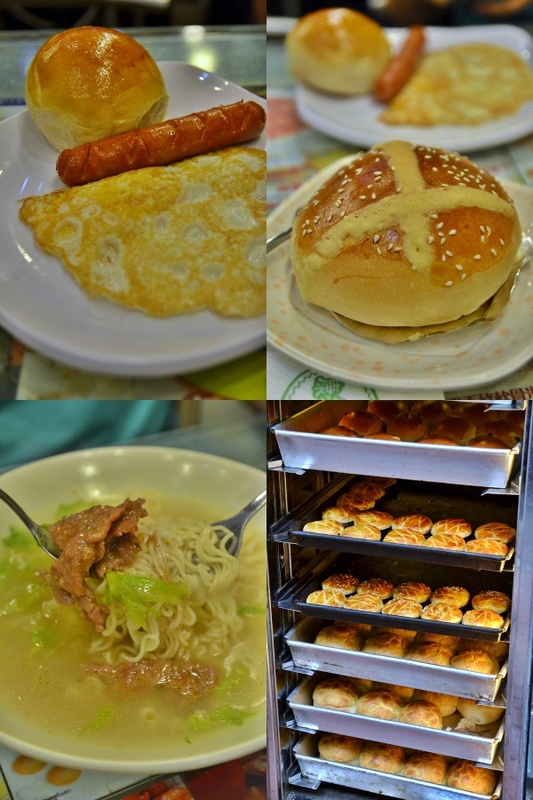 Kam Wah Cafe – Almost an unavoidable venture; we found ourselves at the mercy of their incomparable Polo Bun (can also have yours with butter and a piece of luncheon meat for a meatier bite). However, be prepared to almost always share a table with strangers and at the mercy of their wait staff. They are not the most friendly people that’s for certain. And they don’t have an English menu on the table or the walls. 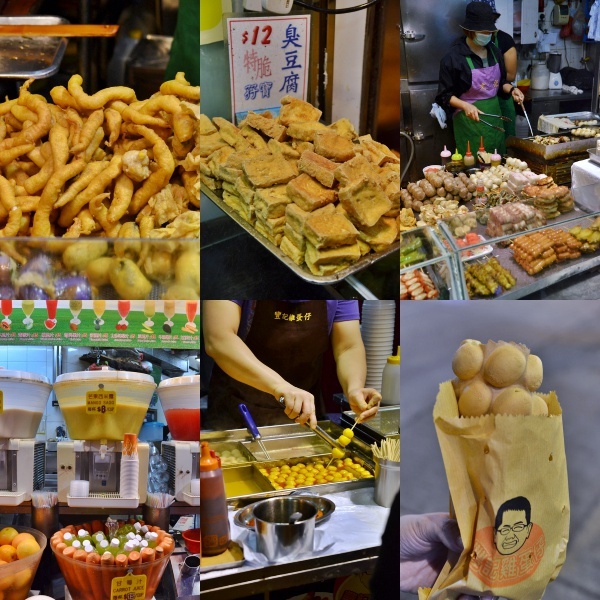 Aside from Hui Lau Shan (which is far from my favourite in Hong Kong anyway), there are neighbourhood desserts shops that you should try. 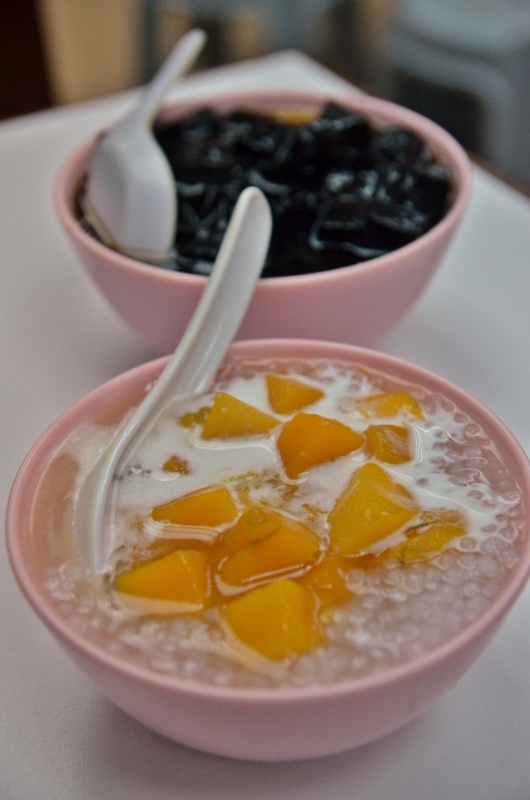 Although my search for that same shop where I had my first “yong zhi kam lou” (mango pomelo sago dessert) failed, this one named Yan Wa (I hope I got it correct) on Tung Choi street was passable. *Next stop? The final MACAU chapter. Is there more than the 2011 double chapters (one and two) worth of food, food and more food? Stay tuned. Happy holidays and please … eat/drink sensibly. In order for a motorist to find cheap SR22 insurance quotes, wide research and shopping around should be done. Private pilots are not restricted to light sport aircraft, banned from towered airports and night flying, or limited to one passenger. turn by Ethiopian 737 pilot – Boeing and NTSB probe 737 crash. you get the credit. This article will reveal all of the most successful.